The animals are playing a cheeky game. They've mixed their coats around! They want you to play and guess who has swapped with who! 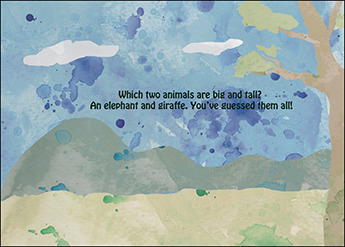 Can you work out this exciting story puzzle or are the animals just too clever?! We take for granted being able to recognise different animals. But as this book demonstrates, we have complex learning mechanisms during childhood which help us develop normally. 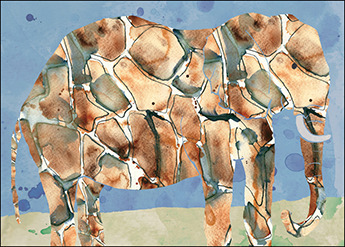 Most children will know the outline shape of a giraffe or elephant, but can they recognise these beautiful creatures if they have a different skin coating? 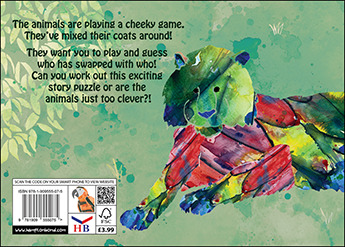 This wonderfully clever book mixes up the animals’ coats, and it’s up to the reader to differentiate the animals. With superb digital illustrations and vibrant colours, this book promotes a child’s development and as such has been extremely popular amongst parents and schools. 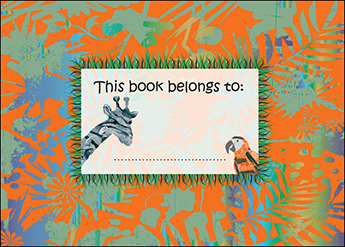 It’s one book that every child should definitely have.